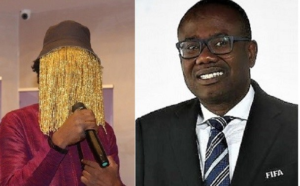 The investigative journalist, Anas Aremeyaw Anas, has petitioned the Attorney-General and Minister of Justice to conduct full-scale investigations into the activities of Mr Kwesi Nyantakyi, especially his stewardship at the Ghana Football Association (GFA) and the Fountain Savings and Loans Limited, which he owns. The petition, dated June 13, 2018, also called on the Chief Executive Officer of the Financial Intelligence Centre (FIC), the Governor of the Bank of Ghana (BoG) and the Executive Director of the Economic and Organised Crime Office (EOCO) to probe Mr Nyantakyi. The petition detailed infractions on the part of Mr Nyantakyi in respect of football sponsorship and government contracts. Anas said by his conduct, supported by documentary evidence, Mr Nyantakyi breached the criminal laws of Ghana, including offences such as money laundering, corruption, bribery, fraud by false pretences and abuse of his office as the GFA President. 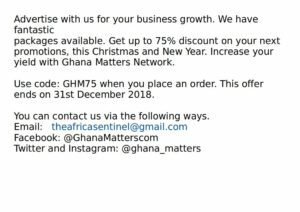 In what appears to be a response to the petition, the FIC Wednesday directed all banks in the country, as well as non-bank financial institutions, to furnish it with specific information on Mr Nyantakyi. The financial institutions were also requested to provide the same information on the GFA. The information being sought from the financial institutions is in relation to money laundering on the part of the former GFA capo. A letter dated June 11, 2018 and signed by the Chief Executive Officer of the FIC, Mr Kwaku Dua, quoted Section 28 of the Anti-Money Laundering Act, 2008 (Act 749), as amended, and requested the banks to furnish the centre with information on specific subjects and any other connected accounts. The information being requested from the banks include mandate and account opening forms, business registration document, legible copy of photo identity, evidence of know your customer (KYC) and customer due diligence (CDD), all transaction details (bank statement) from January 2014 to date, copies of all SWIFT messages received for the same period (if any) and copies of verification of beneficiary owners form completed in respect of transfers. The financial institutions were asked to send soft copies of the requested documents to the chief executive officer of the FIC by Thursday, June 14, 2018. 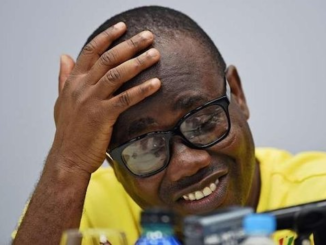 Giving the basis of his complaint in relation to the sponsorship of the Ghana Premier League (GPL), Mr Anas said for a period of three months in 2017, he and his Tiger Eye PI associates conducted an undercover investigative journalism work into Mr Nyantakyi’s perceived corruption. 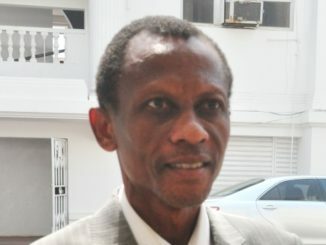 The investigation, he said, sought to ascertain whether there was any basis for the perception, especially after the much-publicised “money claims fiasco” that characterised Ghana’s participation in the 2014 FIFA World Cup in Brazil. “We have found Mr Nyantakyi abusing his office, breaching his fiduciary duties, engaging in acts of egregious conflict of interest, demanding and receiving gifts and other benefits and engaging in bribery and corruption and money laundering. “These were uncovered by way of hard facts captured on audio/visual recording, electronic email correspondence and a memorandum of understanding drafted by Mr Nyantakyi in his handwriting and subsequently type-printed and signed by him,” the petitioner said. Chronicling the various investigative processes of Tiger Eye PI, Mr Anas said his outfit presented itself to Mr Nyantakyi as a company incorporated in Qatar named Medgulf Company Limited, led by its chairman, a supposed Qatari Royal named H. H. Sheikh Hammad Al Thani, who was interested in sponsoring the GPL. 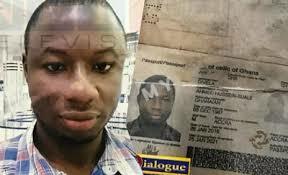 He said the meeting with Mr Nyantakyi, which was secretly audio-visually recorded, took place in the living quarters of the Jood Palace Hotel in Dubai on October 7, 2017, in the presence of Mr Abdulai Alhassan, Sheikh Thani, his supposed secretary, Dr Marzuq A. Albadawir, and other staff of the supposed Sheikh, who supposedly brokered the meeting. The meeting, covering two transactions — sponsorship of the GPL and government contracts in Ghana — led to Mr Nyantakyi accepting $65,000 from Sheikh Thani as money for shopping. He said after the meeting, Mr Nyantakyi proceeded to another room with some members of his outfit and hand-wrote an MoU to capture the nature of the football transaction. Mr Anas said on October 23, 2017, Mr Nyantakyi sent an electronic mail via his GFA account containing a typed MoU based on the one he had.